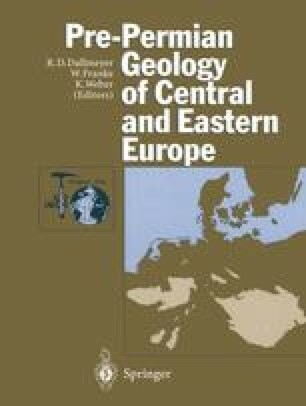 Over the last four decades, the upper lithosphere of central Europe has been investigated intensively by geophysical studies applying a wide spectrum of different methods, including deep seismic refraction and reflection profiling, magnetotelluric experiments, and mapping of the anomalies of the magnetic and gravity field. A large number of detailed and review publications are available dealing with the crustal structure, its composition and evolution. The most recent reports resulting from the European Geotraverse (EGT) project have been published within the series of European Science Foundation Proceedings (Freeman and Mueller 1990; Freeman et al. 1990; Blundell et al. 1992).